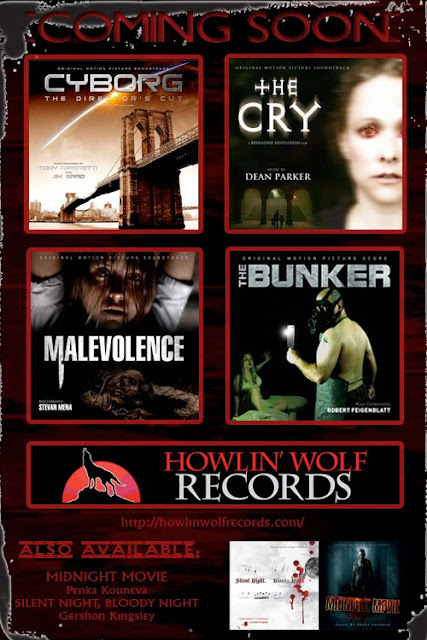 I just got a message from Wall @ Howlin' Wolf Records about some great new "Limited Scores" they will be releasing in the next several months. This label is packing a punch and I am happy to be able to bring the news to you, so I encourage you to getting one or all of these scores. Also please take this post and re-post it on your blog, website, Facebook, etc. I want to get this message heard around the world, who is with me? Please post back here, that you made a mention.